I have not been around the blog world for more than 7 months. The moving in part of our move took so much longer than expected, and my craft room did not get first priority, but now I can use it, and I am slowly getting used to paper crafting again. 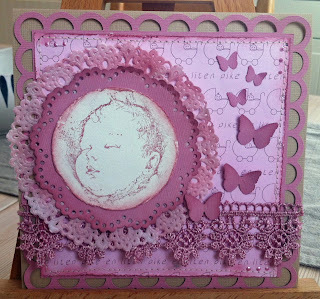 One of the first thing I needed to do was to try the latest card sketch over at my favourite sketch blog, Stuck On U Sketches. I loved the sketch (you can find it here...) and it was perfect for a simple card for my cousin's new baby! I also got to try one of my new cricut cartridges, Elegant edges, which I absolutely LOVE! I think I also need to get used to blogging again, so I think this will be it for now. You DID come back and to US! Yay! 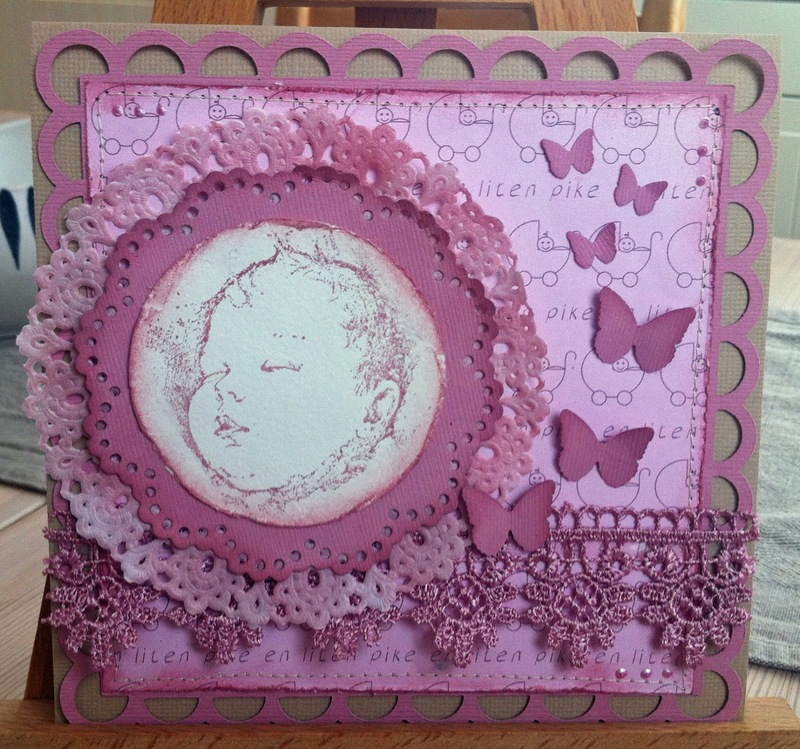 Well back to blogging...I know you've done a bit of crafting but not too much! But now you've got some space set up! Really glad that you joined us...do you miss being on the team? We miss having you! Hello Stine - great to see you. Missed you, but glad to read that you are settled again, and back to your crafty self again. Things always take longer than we think, don't they. It's gorgeous! Looks like you didn't miss a beat! This is so pretty drenched in shades of pink. Thanks for joining us at SOUS!